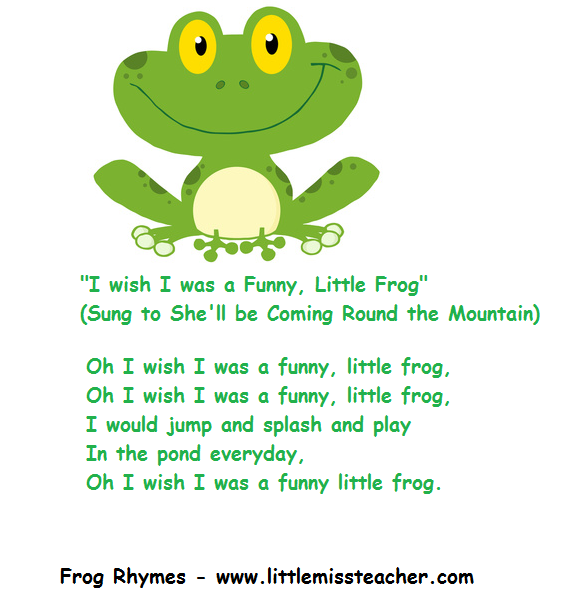 In the infants classes Frogs are always a fun theme, be it for counting, Science, music - whatever! The past week was frog mad in our room. 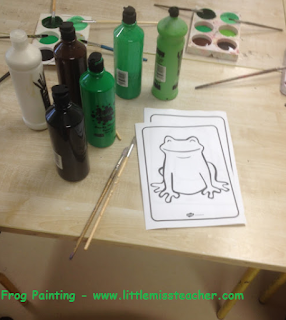 One of the nicest activities we did though was a morning of Frog Painting. 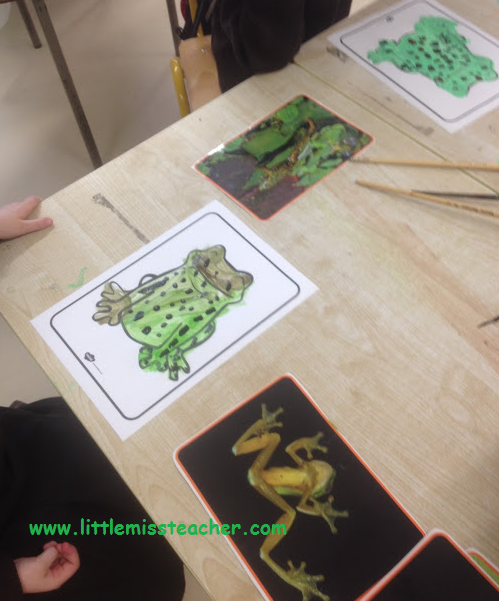 I had images of frogs from a display last year and we shared them out and examined each. We discussed what each frog looked like, how it differed from other images. We looked for patterns, speckles, spots and most importantly tones. 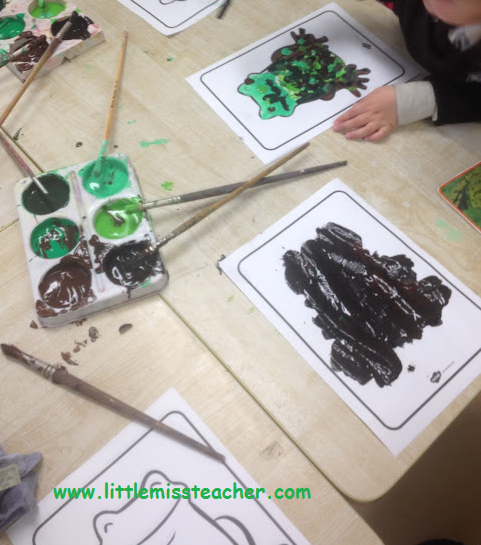 We had a selection of green paint with some brown, black and white for mixing. Then I let them just go for it. 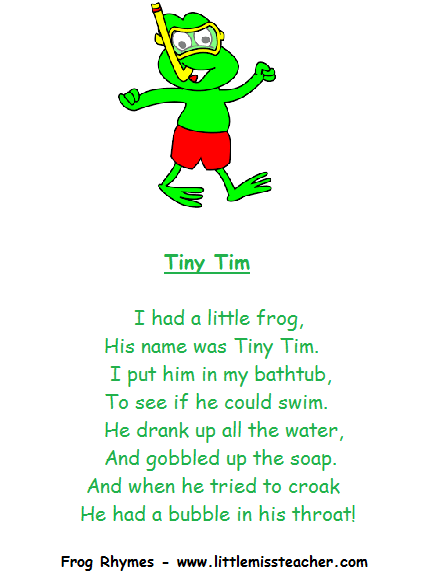 When I came to this little frog I foolishly asked, 'Eh why is he painted black, has he no speckles?' I was quite swiftly told, 'No teacher, this is a bull frog!' Haha! Never underestimate a Junior Infant! 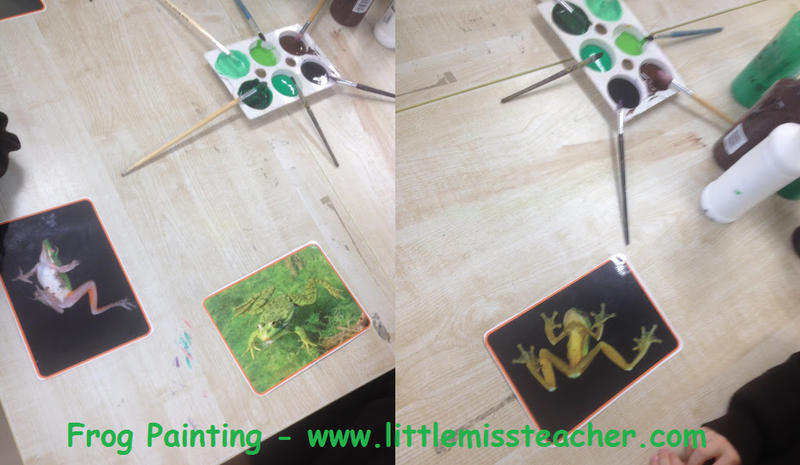 I love how the little ones are now at the stage where I can trust them to cut out their pictures and not totally butcher them, so when their frogs were dry that's exactly what they did - yes a few frogs toes were lost to this activity but that's just life in the infant classroom haha! 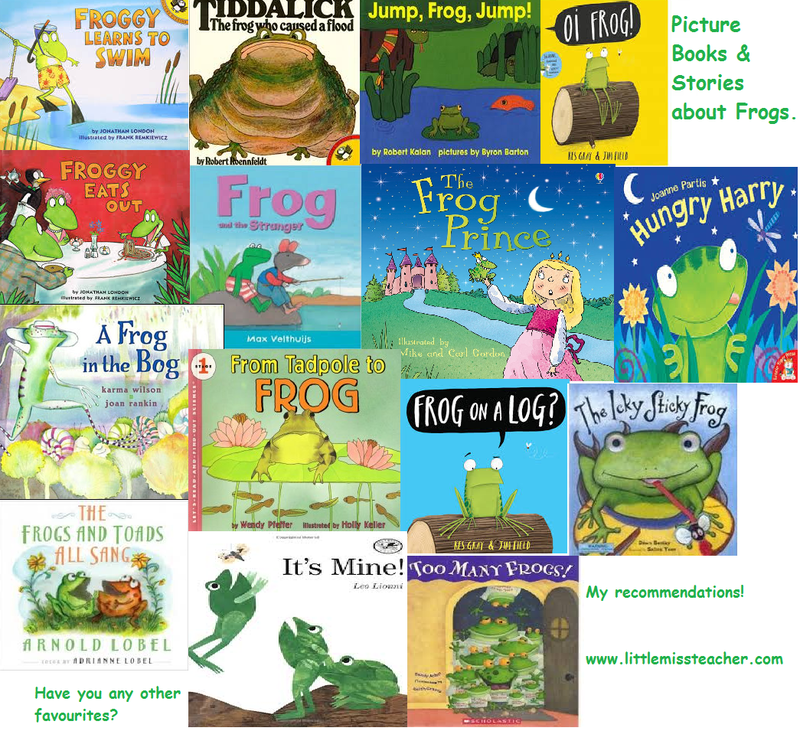 There are so many lovely picture books and stories about frogs. Here are a few of my favourites! 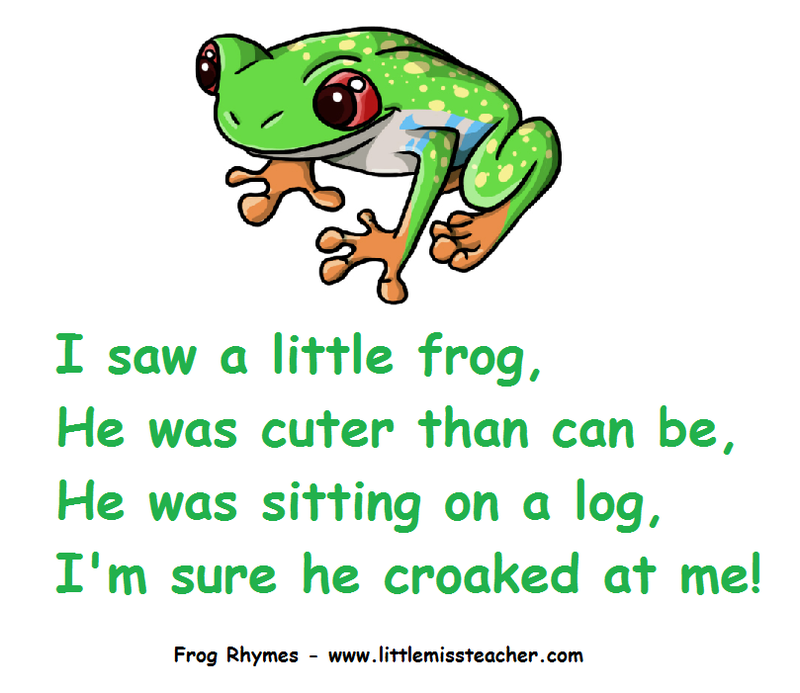 If you're teaching the life cycle of the frog to your class and your school has access to YouTube, here's a handy video which my little ones loved. There's a plethora of poems and rhymes about frogs out there but you can never have enough to hand - especially if you're trying to avoid death by 'Five Green & Speckled Frogs'....shudder! I've got to the stage where I actually can't sing it anymore. 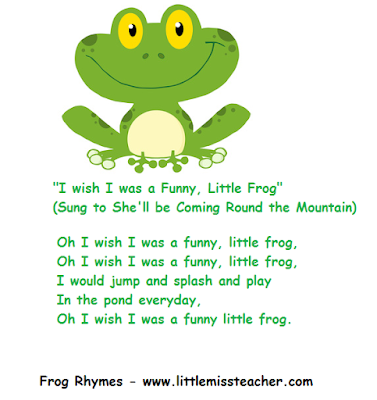 We all know that we can never have enough Maths games so I've uploaded two handy little frog themed counting games and you can download them both for free. Print as many as you like, laminate and get out your dice. 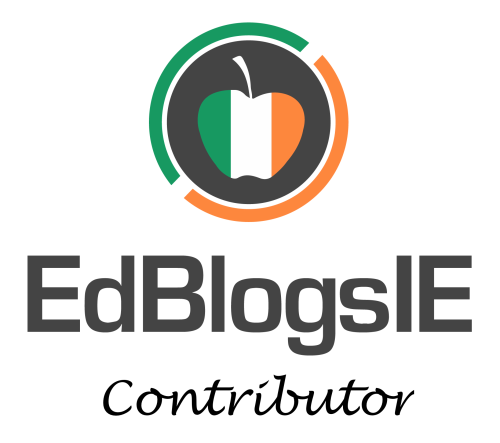 Be sure to send me a wee picture if you use them! I've used them with my Juniors over the past three years and they always go down a treat. 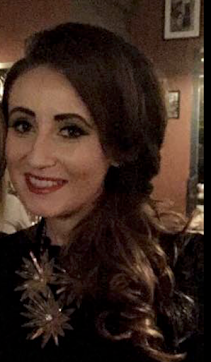 If like myself you're off for Easter, have a lovely break and if you're not, stay strong, holidays are coming!